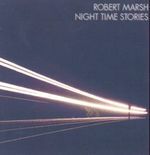 Sign up for Broadjam today to follow Robert Marsh, and be notified when they upload new stuff or update their news! 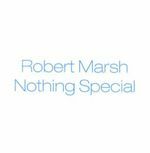 The fifth album from Robert Marsh sees a heavy rock input, but look out for the country, dance and pop tunes too among the twelve tracks. 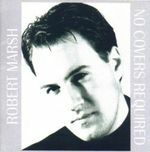 The third album from Robert Marsh sees a whole range of genres covered such as pop, rock, dance and country. There is even a wander into the techno category. Electronic meets techno meets pop in this song. This reminds of the Beach Boys in a big way: happy, catchy song, use of Hammond organ in between verses and choruses and, of course, three part harmonies. I think Brian Wilson would probably like this oneÂ? Slow, sad heart-breaker love song. The title track (well almost!). I love this one, good funky, rock sound and not too much instrumentation. This is one of my best and most favourite songs. Is it more than I assumed? Do I hope it can?t be real? Slow burning easy listening pop/country track. This is probably the simplest song and arrangement I?ve ever done. Just an electric piano, guitar, synth and vocal for this song which deals with how things have changed in my life over the years. 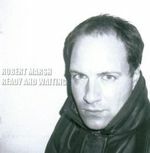 Back to a slower song with ?Tell Me Why?, this was written in 2000 when I started re-arranging some of my old material. This one just seemed to pop up from nowhere. Nice gentle song that deserves its place on the album. After playing around with an R & B rhythm, I found myself playing a melody which, just like ?The Living Of Yesterday? became the lead introduction. Another catchy song that splits itself between R & B and rock, so it?s a nice little mix for this one. I remember you, how could I forget? This was another crack at writing a country song. The origins of this song started back in 1998 with a different melody but after listening to Jimmy Nail?s ?Cowboy Dreams? I just felt inspired to write a country song. The rest, as they say, is history? The best track on the album by far. This song is about how you love someone so much you would never want to hurt them in any way. This track is really a rock ballad but it does seem to have a tinge of country in the instrumentation. Melodic dance track with good three-part harmonies. Gentle pop/folk ballad with a tinge of country.